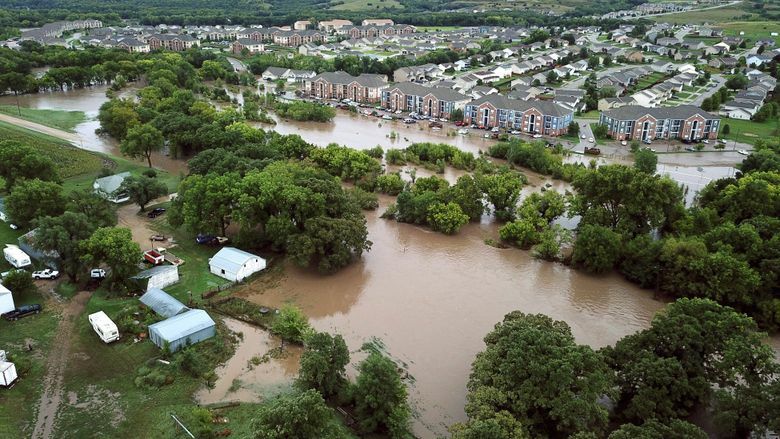 MANHATTAN, Kan. (AP) — Residents in five Kansas counties were recovering after heavy rain hit the area during the Labor Day holiday weekend, as forecasters call for more rain this week. 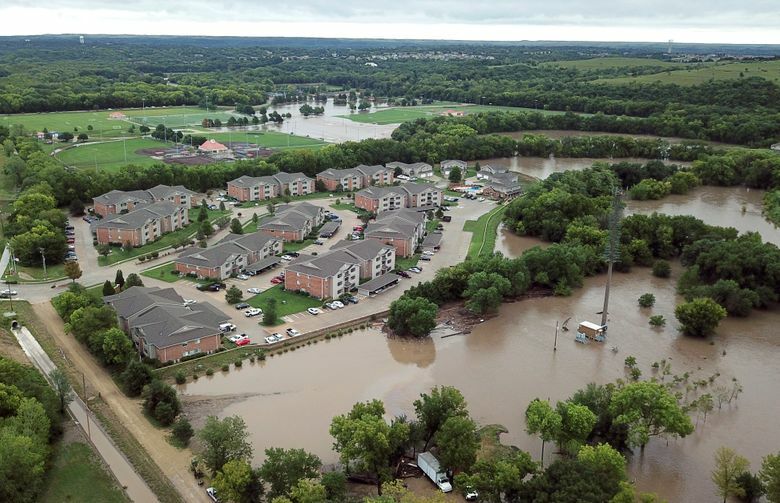 The heavy rains caused Wildcat Creek to burst its banks and flood the Kansas college town of Manhattan, forcing more than 300 people to evacuate their homes, including some who were ferried to dry land in boats. Nearly 9 inches (23 centimeters) of rain fell from Sunday night into Monday. Kansas State University’s main campus in Manhattan wasn’t flooded, but a help center has been set up for displaced students. Photographs posted on Facebook by the Riley County Police Department show buildings flooded nearly to their roofs. Gov. Jeff Colyer issued a disaster emergency declaration for Jewell, Kingman, Marshall, Pratt, and Riley counties and said the declaration could be expanded as more damage assessments come in. The declaration authorizes the counties to use state resources and personnel to help with recovery operations. Authorities said all roads and bridges that had been closed reopened Tuesday after floodwaters had receded, The Topeka Capital-Journal reported. No serious injuries were reported. Monetary damages were still being assessed Tuesday. Pat Collins, director of Riley County Emergency Management, said late Tuesday afternoon that some residents had returned to their flood-damaged homes and apartments, while several dozen others were staying in shelters set up in Manhattan. He said at least 20 people were rescued from their flooded homes by boat. Kirstin Pounds said she awoke around 7 a.m. Monday to the sound of trickling water in her ground floor apartment on the west side of Manhattan. She said there was water on her floor and her truck was already halfway underwater. “I got out with the clothes on my back, my phone, my computer and my dog,” Pounds said. She and her dog were among 50 people and 20 pets rescued from the apartment complex, the Manhattan Mercury reported. Collins said that while Wildcat Creek receded, emergency management personnel were watching the Kansas River, which was at 14 feet (4.3 meters) Tuesday afternoon and was expected to crest Wednesday at about 18 feet (5.5 meters), which is flood stage. Audra Hennecke, a National Weather Service meteorologist in Topeka, said more rainfall is possible this week in the Manhattan area, as well as other parts of northern Kansas.